This is the third time in 7 years that I am shopping for maternity jeans for my changing body. I’m not one of those girls who could wear their regular jeans while pregnant and honestly I rather not, I love to be comfortable to a pair of jeans is a must-have for me. Unfortunately, I never saved my maternity jeans because I always said I wouldn’t be having another baby but here we are again. Anyhoo, I thought that I could at least use my veteran mama expertise and share everything you need to know when shopping for maternity jeans. This goes without saying but everything you wear while you’re pregnant should be soft, if not you’re torturing yourself for no reason at all. During my second pregnancy, I found the cutest pair of black skinny jeans style jeans that worked well for work and casual styling but guess what it was hard and just felt really uncomfortable on. I purchased it on sale but it was one of my worst purchases ever. I ended up just ditching it all together because even though it was a cute pair of jeans it felt horrible on my body. 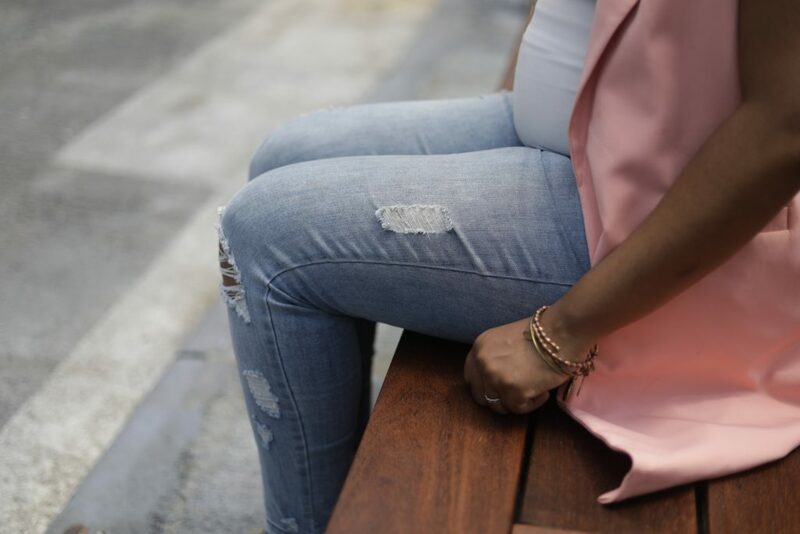 A great pair of maternity jeans should be able to grow with you. While you can buy it one size up for comfort you really shouldn’t have to. Of course, you wouldn’t go for a very tight fit but a slouchy pair that’s too big will make you appear sloppy. Getting a pair that fits well with a little give is perfect. I love the stretchy waistband of these PinkBlush jeans (get a peek above) because they make my tummy feel like I’m wearing leggings. They feel really, really good on and they are very stretchy so I know they will continue to fit as my body grows. 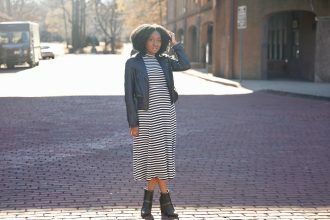 Last but not least a pair of maternity jeans should be your style. A friend of mine was telling me that she bought maternity jeans that she hated because she needed a pair and felt desperate. Trust me it’s not worth it to get a pair that doesn’t fit your style. Not only are you going to feel very uncomfortable wearing it but they’re not going to work with any of the clothes in your closet if they’re not your style. This pair is very much me and the same style as jeans I would wear when I’m not pregnant. I hope these tips help you find the perfect pair of maternity jeans so you can be fierce during your pregnancy. 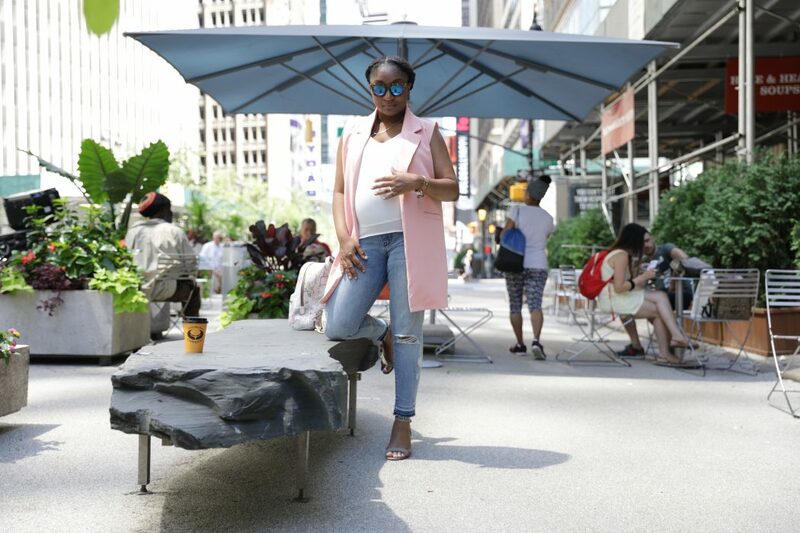 These jeans were a gift from PinkBlush Maternity, I love this trendy online boutique and I can vouch for their high quality clothing since I wear them. Check them out here!